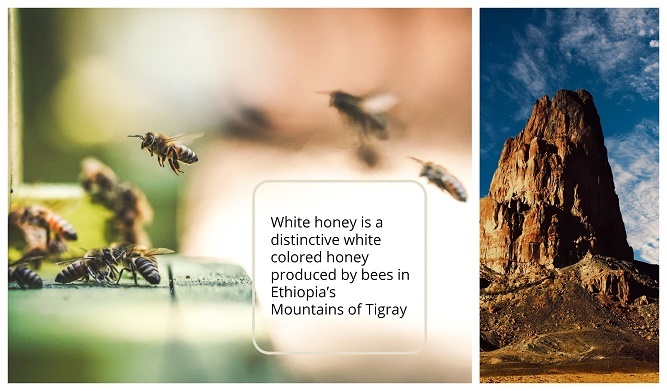 White honey is a distinctive white colored honey produced by bees in Ethiopia’s Mountains of Tigray. White honey production from Ethiopia is declining because climate change affecting the Ethiopian honey bee production. Ethiopia is Africa’s largest producer of honey producing nearly 24 percent of Africa’s total honey production. Collecting and selling honey and other bee products produced in homes and home gardens is common throughout the country. 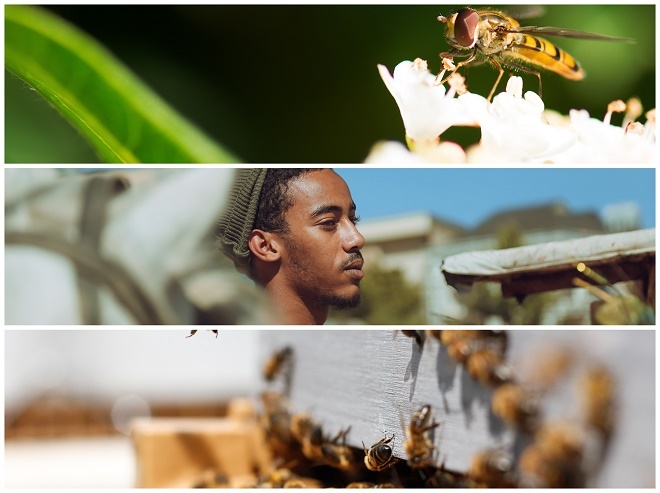 Beekeeping is an ancient tradition in Ethiopia, stretching back into the country’s early history between 3500 and 3000 B.C. White honey is one of Ethiopia’s most unique and flavorful honey produced in the northern part of Ethiopia Mountains of Tigray. Ethiopian white honey develops its unique color and taste from a variety of native plants growing in the Tigray mountain region. White honey is growing scarce as bees abandon Ethiopian Tigray mountain region due to drought. Bees are traveling further distances in search of flowers to pollinate. Bees need two different kinds of food. One is honey made from nectar, the sugary juice that collects in the heart of the flowers. The other comes from the anthers of flowers, which contain numerous small grains called pollen. Just as flowers, have different colors, so do their pollen. Due to drought the native plants bees usually pollinate local Tigray flowers and plants producing white colored honey. However, bees are traveling further distances in search of flowers to pollinate, creating yellow colored honey. Because a honeybee starts the honey making process by visiting a flower and gathering some of its nectar, this affects the color of honey. Ethiopia is heavily dependent on agriculture; more than 90 percent of Ethiopia’s honey is still produced using traditional hives. Many beekeepers lack modern technologies and operate on a small scale. Climate change will inevitably have a greater impact on people's lives in Ethiopia and Africa at large. Vanishing white honey is just the beginning of the permanent changing climate of Ethiopia.